Part awakening, part trial by fire, The Alchemy of Noise is a timely social novel that unfolds with tenderness and cruelty. 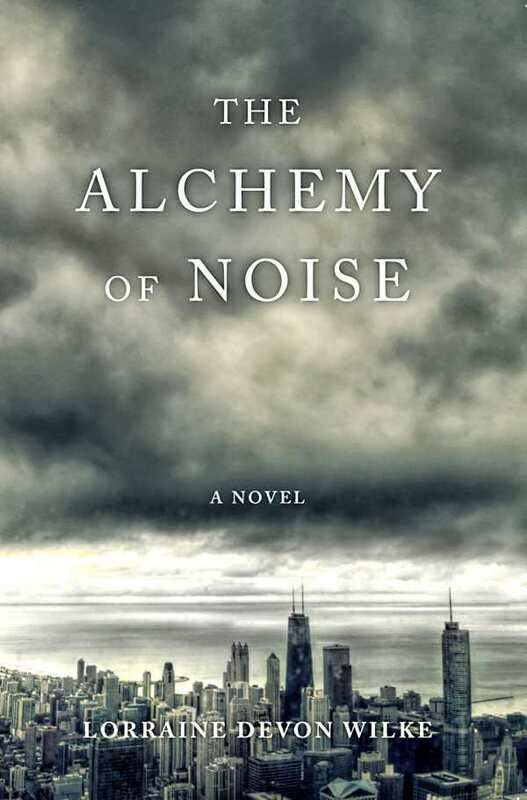 A story on fresh beginnings marred by police brutality, The Alchemy of Noise tests the limits of love. Lorraine Devon Wilke’s sharp interracial romance strikes at the heart of contemporary race issues with thoughtful, vulnerable characters who excavate their own beliefs to reaffirm what’s worth fighting for. The author, a white Chicago native, acknowledges the controversial nature of choosing to write a black man’s story amid the #OwnVoices movement. Despite the risks, she draws from experience to pen a compassionate portrait of unforgiving circumstances. Chapters alternate between Sidonie, the white manager of a Chicago concert and event venue, and Chris, a black sound engineer and new hire whose presence upends Sidonie’s sheltered view. Between Sidonie and Chris’s deepening friendship, brushes with racism ranging from verbal disparagement to police profiling to physical assault, their attempts at building a life together in Sidonie’s neighborhood, meetings with family, and events at work, there’s plentiful opportunity to explore the characters under their varied pressures. As Sidonie’s naïveté grows into awareness of the burden that Chris carries, her initial belief that love can be colorblind is exposed for its simple idealism. Events reach a flash point when a police encounter leaves Chris facing grim accusations. Sidonie must choose whether to believe her heart or to act on the messages she’s absorbed, and her decision is as wrenching as it is revelatory. Chris’s daily reality provides dramatic focus. The problems he faces strike with sudden force. The most severe of these situations—which brings the threat of prison—resolves itself through an orchestrated twist but still evokes his silent, helpless rage. On occasion, the writing turns explanatory, as when a black character informs Sidonie of what privilege means, but such moments spring from genuine frustrations and concerns. With pointed care, the book’s main characters are given complex histories and personal stories that shape how they respond. Other characters, including Sidonie’s college friend, reveal embarrassing excuses for their speech and behavior that read as awkwardly as they ought to. Amid the broader panorama of Chicago’s police problem, it’s the subtler, intimate arc of two adults trying to shield their love that stands out. Scenes set in Chris’s family home add depth. His mother and his activist sister provide incisive perspectives that help Sidonie understand what she has committed herself to. Part awakening, part trial by fire, The Alchemy of Noise is a timely social novel that unfolds with tenderness and cruelty. Between its heartfelt message for allies and its cautious navigation of what it’s like to be made a target, a profound optimism emerges. Love can’t solve everything for Sidonie and Chris, but it continually encircles them.